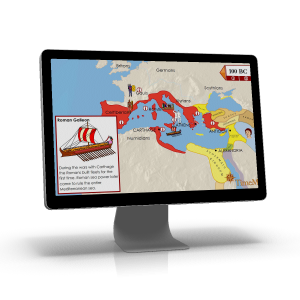 You're planning for school... so are we... You want to pull together a great history program for you kids, complete with great read alouds, mapping and timeline activities. We get it! So, we are making this sale as easy to navigate as possible. First, find the time period you'll be studying. We've broken up this page into 5 sections - General Resources (useful for studying ANY time period in history); Ancient History, Medieval History, New World History and Modern History. Next, decide which type of resources would best fill out your history studies for this year. Do you need maps? Timelines? Historical biographies? Geography integration? Grab one or two items or purchase a bundle for higher savings. Save up to 45%! Sale continues through August 19th. As always, if you have any questions, please don't hesitate to ask. Just send them to helpdesk@kqpublishing.net. Time Trek communicates history in a truly engaging way by using a combination of timelines, historical maps and encyclopedic entries merged together to deliver authoritative content that can be digested in an enjoyable way. 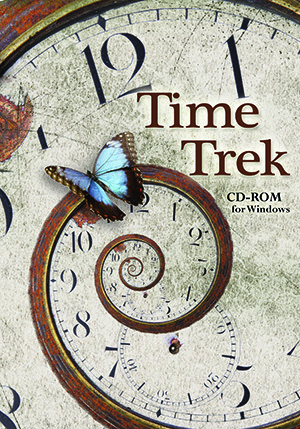 Time Trek Maps are computer software files that use Flash and are Mac and Windows compatible. Maps are shown in chronological order at the click of a button and progress at your timing, showing how civilizations, countries and continents have changed over time. 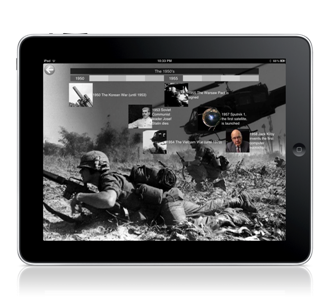 Quizzes and encyclopedic entries can be turned on and off at your discretion. Software will be downloaded to your computer. Files include Ancient China, The Rise of Rome, The Fall of the Roman Empire, The Islamic Empire, The Black Death, European Explorers and The Slave Trade. Read more. Digital Download. Wonders of Old is a blank timeline book that covers the full spectrum of World History. It is divided into four historical time periods: ancient, medieval, new world and modern. Significant dates are listed at the conclusion of each section as a helpful reference. This hardcover book measures 9x12 and is printed on extra thick 70# paper for durability. 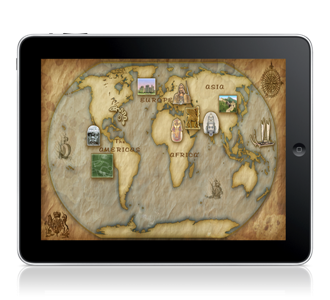 Free Curriculum Integration Guides to integrate Map Trek with your favorite history curriculum! Download 1st biography for free! Imagine walking in the footsteps of Socrates, Alexander the Great, the Apostle Paul... See and understand ancient civilizations and great empires from what has been left behind and carefully preserved. Hear the stories passed down from generation to generation, before the advent of paper and printing presses. As we explore the Classical World, you and your family will delight in incredible, mysterious landscapes, hidden wonders and beautiful peoples - all created in God's image. Read more. Softcover book with pull-out 22x34 Map. Download the first 3 chapters to read and try for yourself! Wonders of Old: Ancient Timeline is a beautiful timeline reference app which will give you a unique perspective on the events of world history, including kingdoms, empires, rulers, wars, artifacts, inventions, advancements, and so much more! For one low price you will get all of the above history resources - 1.) Map Trek: Ancient World (download); 2.) TimeTrek: Ancient History Bundle (download); 3.) What Really Happened in Ancient Times (softcover); 4.) 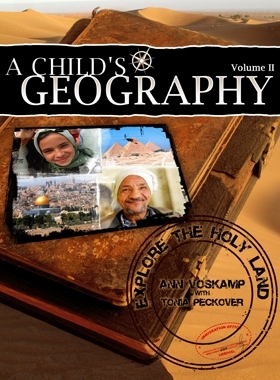 A Child's Geography: Explore the Holy Land (softcover); 5.) 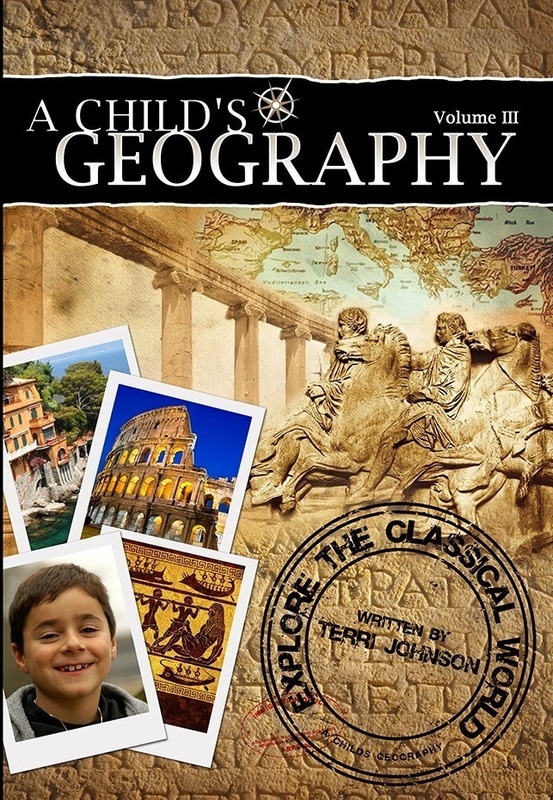 A Child's Geography: Explore the Classical World (softcover); and 6.) the 10 foot Ancient Wall Timeline (rolled). (Wonders of Old app not included as it is sold separately through the Apple App Store.) Ebook links will arrive within an hour and the printed books will arrive in the mail in approximately one week. 500-1600AD 10x1 ft. banner wall Timelines of World History by Knowledge Quest. Date increments remain consistent on each timeline, giving a truer perspective of history. Over 125 timeline category stickers included. This app brings together sights, sounds, text, and photos of Medieval Life. Learn about banners and knights in Castle life. Learn about Vikings, their life, their religion, their diet. Learn about Cathedrals, Towns and Farms and the various roles that nobility and commoners played to make Medieval life possible. Wonders of Old: Medieval Timeline is a beautiful timeline reference app which will give you a unique perspective on the events of world history, including kingdoms, empires, rulers, wars, artifacts, inventions, advancements, and so much more! For one low price you will get all of the above history resources - 1.) Map Trek: Medieval World (download); 2.) TimeTrek: Medieval History Bundle (download); 3.) What Really Happened During the Middle Ages (softcover); 4.) 10 foot Medieval Wall Timeline (rolled). 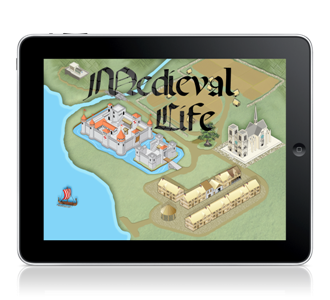 (Wonders of Old app and Medieval Life not included as they are sold separately through the Apple App Store.) Ebook links will arrive within an hour and the printed book will arrive in the mail in about a week. This collection of historical biographies geared toward 8-14 year olds presents the lives of ordinary people who accomplished extraordinary deeds during the Colonial time period. Illustrated with stunning portraits, this inspiring compilation of stories describes with historical accuracy and age-appropriate content the quality character and unbending determination of Pocahontas, Lady Alicia Lisle, James Cook, Rachel Walker Revere, Lord Admiral Nelson, Catherine Ferguson, Lucretia Mott and Narcissa Whitman. Read more. 1600-1850 10x1 ft. banner wall Timelines of World History by Knowledge Quest. Date increments remain consistent on each timeline, giving a truer perspective of history. Over 125 timeline category stickers included. Timelines are printed on sturdy, heavyweight 32lb paper for durability and rolled up for delivery. 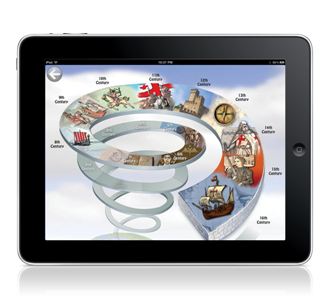 Click here for a zoomed in view of the Ancient and Medieval timelines! Wonders of Old: New World Timeline is a beautiful timeline reference app which will give you a unique perspective on the events of world history, including kingdoms, empires, rulers, wars, artifacts, inventions, advancements, and so much more! For one low price you will get all of the above history resources - 1.) Map Trek: New World (download); 2.) What Really Happened in Colonial Times (softcover); 3.) 10 foot New World Wall Timeline (rolled). (Jacques Cartier ebook the Wonders of Old app are not included as they sold separately through Amazon and the App Store, respectively.) Map Trek link will arrive within an hour and the softcover book and timeline will arrive in the mail in about a week. O Canada! Her Story takes you on a grand tour of Canada through the ages. Historical narratives and biographies tell her story in a creative and lively way that draws the reader in, grabbing his or her attention from the start. Learn about the people who dwelt in this land before the Europeans arrived, the vikings who discovered and temporarily settled this territory, the immigration and emigration of various people groups, the heroes who have shaped the face of this nation and the people who adore their beloved homeland. Read more. "Ms. Akins is a courageous writer to have taken unique approaches to each story, which is new and refreshing. I’m sure this will be a special book on our shelves for years to come!" - Shannon R.
Wonders of Old: Modern Timeline is a beautiful timeline reference app which will give you a unique perspective on the events of world history, including kingdoms, empires, rulers, wars, artifacts, inventions, advancements, and so much more! 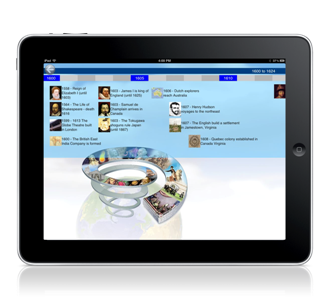 Wonders of Old is a 4-part app series, dividing the events of world history into four historical time periods: ancient, medieval, new world and modern. 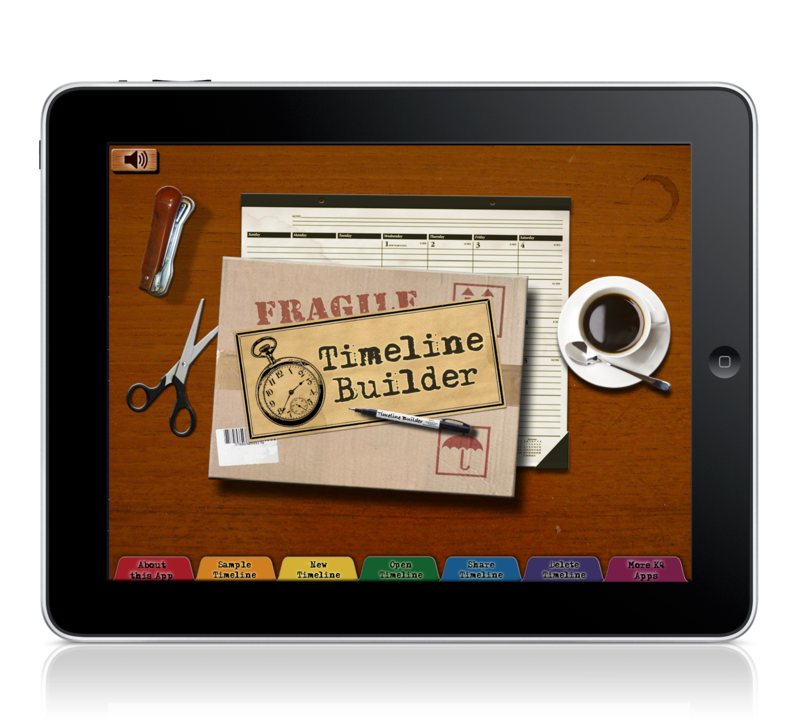 Wonders of Old: Modern Timeline is the fourth and final app in this series. For one low price you will get all of the above history resources - 1.) 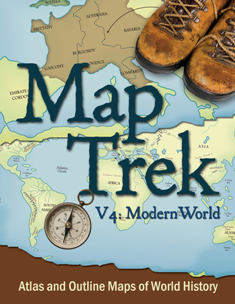 Map Trek: Modern World (download); 2.) O Canada! Her Story (softcover); 3.) the 10 foot Modern Wall Timeline (rolled). (Wonders of Old app not included as it is sold separately through the App Store.) Map Trek link will arrive within an hour and the softcover book and timeline will arrive in the mail in about a week. Sale continues through August 19th. If you have any questions, please don't hesitate to ask. Just send them to helpdesk@kqpublishing.net.